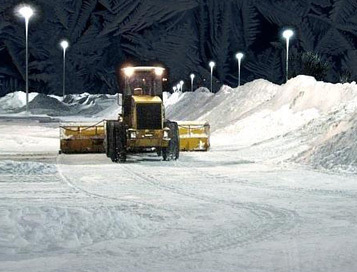 The BMF GROUP teams are acting for the snow clearance (manual and motorized) on the driveways and parking lots, in normal or exceptional weather conditions. For this purpose we use specialized equipment for charging, transport and storage of snow in premises designated by our customers, to the established cleaning areas. For prevention and fighting against black ice and ice, we use special equipment and machinery, equipped with anti-skid and de-icing ecological materials.